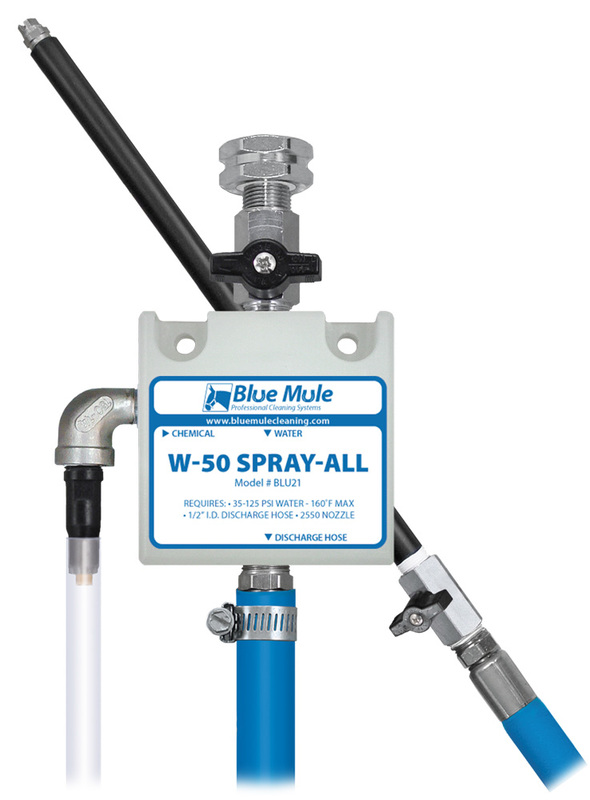 The Blue Mule W-50 Spray-All is a MEDIUM VOLUME spray applicator for diluting and applying chemicals to any surface. This venturi injection unit draws chemical concentrate from any sized container, mixes it with water and applies the accurately diluted solution in a fan pattern spray. The W-50 Spray-All includes a 50′ hose and can be permanently mounted, hung or used anywhere 35-125 PSI water is available. It is the perfect choice for larger spraying jobs that will be done on a regular basis and is well-suited for chemical application duties around the home, farm, garage or kennel.